Life has taught me some very tough lessons. None to many more painful than that there are definitely different levels in relationships. Fifteen years of pastoring has confirmed this truth. Church planting has solidified it even further. I try to live my life by a core value and I have planted a church by this same value, “I never look at a person for what they can do for me or for what they have. I look at people for who they are which is far more important than what they can do or what they have.” People are not resources to be used up and discarded after they have exhausted their usefulness to us. People never truly exhaust their usefulness every person has something to contribute. I have definitely discovered that there are different levels in relationships and knowing those levels is critical. It is critical to recognize what level of relationship we have with individual so that we can live in peace and harmony with one another and so that whatever level of relationship we have isn’t breached or broken. The hard part is determining that level of relationship. It requires taking an honest look at our relationships and evaluating them truthfully. In my observation and assessment everything begins with fellowship. Fellowship is simply being in community with each other. It may be the same church, sports team, workplace, college, school, neighborhood, ant place where we see each other daily. Fellowship then moves into relationship. We relate to one another know each other’s name, maybe the names of our family, we have small talk and conversations. Maybe even a meaningful in-depth conversation on occasion. We know and are known. This relationship than develops into a friendship. Friendship we choose to be around one another, we hang out on occasion, we invite one another to significant events, we share some of the details of our lives, we cal on each other in times of trouble, generally a friend is someone we trust and love. Now here is where the litmus test of relationship really becomes critical. Friendship can develop into leadership and leadership can develop into an even deeper more intimate relationship known as mentorship. The litmus test is honesty, trust and transparency. Proverbs 27:6 [ESV] Faithful are the wounds of a friend; profuse are the kisses of an enemy. The litmus test will be revealed in our willingness to accept, value and respect each other’s opinion even if we choose not to agree. We don’t have to agree on everything and truthfully we will not agree on everything. That doesn’t make one person bad and one person good it just means we don’t agree. The reason this is a litmus test is because it will determine if you are in a relationship, friendship, leadership, or mentorship. The response of the person tells us the kind of relationship that we have and it sets the course for the future so what we have doesn’t have to be broken we just know how to set boundaries so that what we have isn’t lost. Some people just want a casual friendship and that is totally cool. Others want to have leadership and still others want to be mentored and are willing to allow you to disagree with them without anger or repercussions. It is not a bad thing. It is a good thing to recognize the kind of relationships that we do have so that we do not lose them altogether. The litmus test is the way a person responds when your opinion is sought and you share it honestly from your heart. Their response determines he level of relationship that you have. Recognizing the level of relationships will definitely determine the level of input sought or given by both parties. Here is the good news. Just because you discover you have reached a certain level in your relationship doesn’t mean you have to stay there. Both parties can elect to enter into a deeper more in-depth relationship. However I caution everyone strongly, you must be willing to put your relationship to the test with the litmus test of honesty, trust and transparency. Notice the scripture verse above faithful are the wounds of a friend; profuse are the kisses of an enemy. Very true! I have seen this work both ways. My wife and I were best friends before we were boyfriend and girlfriend, fiancees, and eventually husband and wife. I had to be willing to put our relationship on the line to take it to the next level. Luckily for me the gamble worked out and in April we will celebrate 20 years of marriage. I have also seen it work out negatively and it hurt my wife and I terribly. We were invited to be in fellowship with a couple in one of the churches we were on staff at. Invited into fellowship which turned into what we thought was true friendship maybe even a leadership/mentorship opportunity. It didn’t turn out that way. Trust was broken after we sat and listened to our “friends” concerns about certain issues in the church. We just listened like good friends do and expressed our condolences for the way they felt. Later we found out that this couple used our empathy as agreement and it almost cost us or job and relationship with our leader / mentor at the time. We felt so violated and broken. It caused us to put up walls and it also helped us realized that there are definitely levels in relationships. My wife and I have a tight inner circle of friends. It is not easy for us to let people into that circle because I have shared only one of many horror stories that almost cost my wife her faith in people. I am willing to do whatever it takes to protect my wife from those seeking the wrong kind of relationship with us. 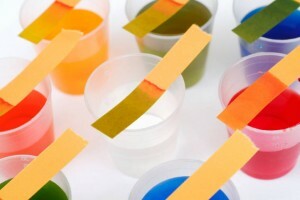 They must pass the litmus test before we take the next steps and it must seem right to us and the Holy Spirit. I know it sound harsh however, we are to be shrewd as vipers yet harmless as doves. Levels of relationships are just a reality in life. All relationships have potential to grow. The litmus test tells us if they are growing or even if we want them to grow. Some would argue with me and some may even be upset reading this blog. Let this be a litmus test for our level of relationship and I’ll let each one determine the level of our relationship for yourself. Honesty, trust and transparency are to litmus test. Whether you agree with me or not I hope we still share mutual respect and love. I wanted to share this blog with you today so that you can guard, evaluate, preserve, enhance, and grow the relationships God has blessed you with. Every person in our lives are a grace gift from God. We should celebrate every relationship whether it be fellowship, friendship, leadership or mentorship. Having clarity at the level we are at with each person will help us love them and love them well to the glory of God. It will also help us determine if we want to take our relationships to the next level or if we can just enjoy what we have been given. Be encouraged!